28.6" x 32.1" stitched on 14 count. 22.2" x 25.0" stitched on 18 count. 10 Eagles (Cushion) cross stitch pattern... 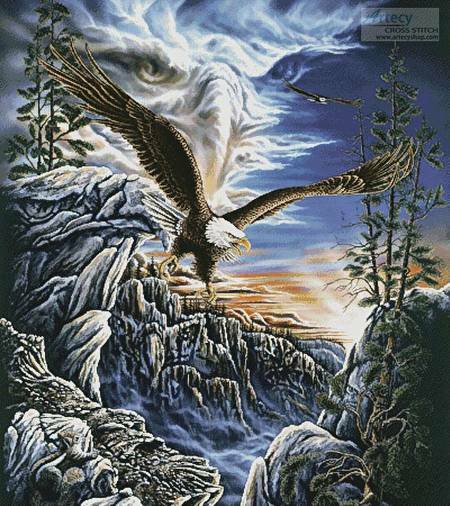 This counted cross stitch pattern of Eagles was created from beautiful artwork by Steven Michael Gardner.Besides the main Eagle, there are another 9 hidden throughout the picture,can you find them all Full stitches used.